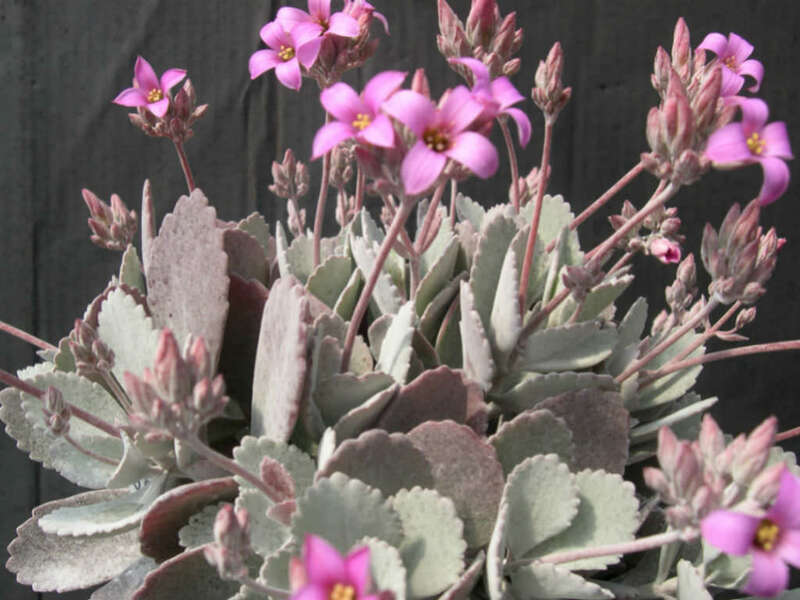 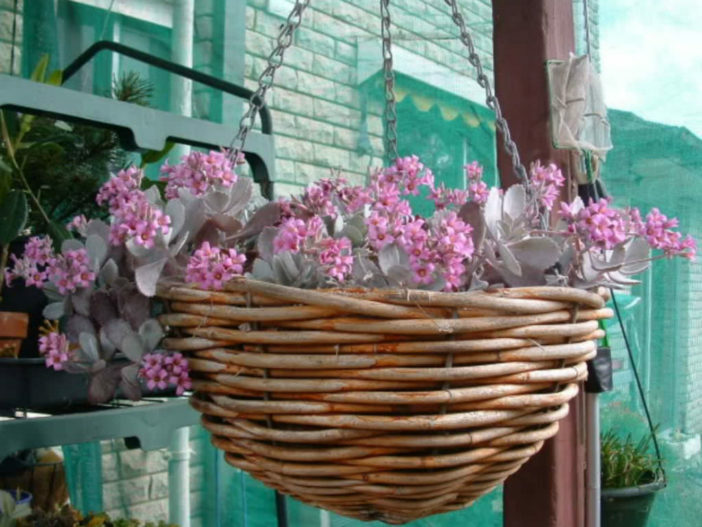 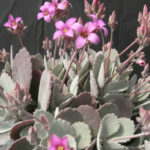 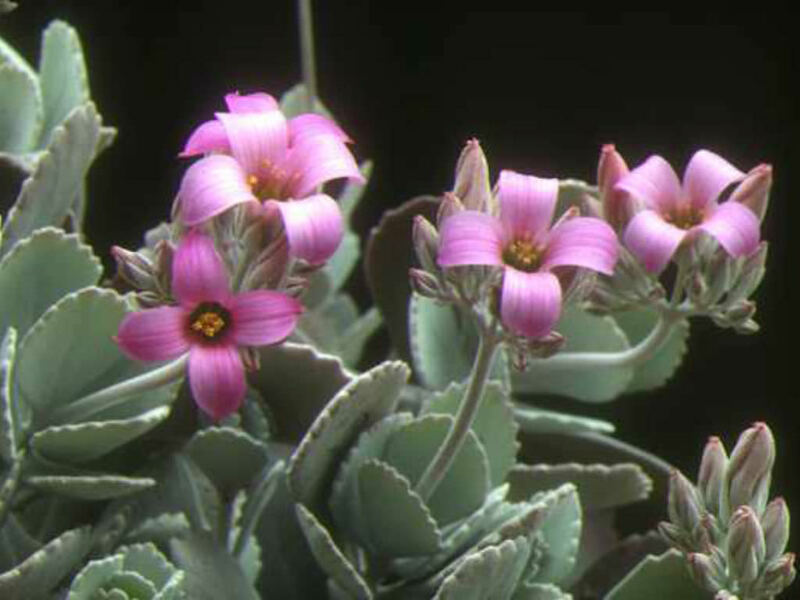 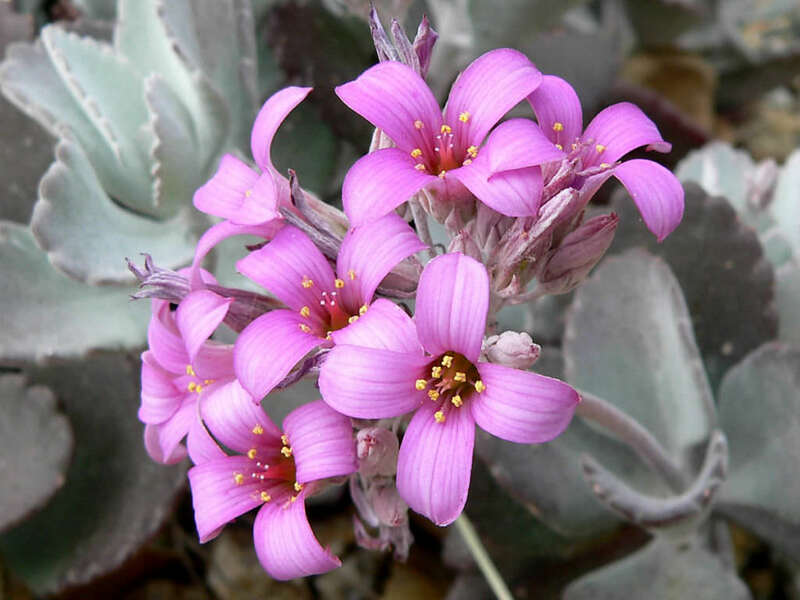 Kalanchoe pumila is a dwarf succulent shrub up to 12 inches (30 cm) tall. 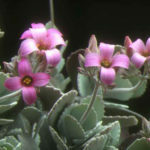 The entire plant is densely covered with 1.5 inches (3.8 cm) long rounded leaves that are toothed and covered with soft whitish waxy hairs which give the plant a frosted look. 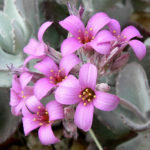 In late winter to early spring appear the clusters of erectly-held 0.25 inch (0.6 cm) long pink-violet flowers with conspicuous yellow anthers.